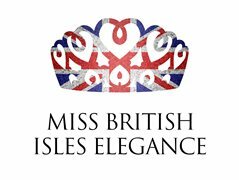 The National Final of Miss British Isles Elegance 2019 is on Saturday 25th May in Chester. There are fantastic prizes and the winner receives £2000 including a modelling & promotions contract, the Miss British Isles Elegance crown, sash and flowers to keep and an incredible £1500 portfolio. There are other great prizes too. The competition is open to ladies aged 28 - 44 on the date of the National Final. ALL FINALISTS get FREE photos from the professional photographers at the event. This is a great opportunity to gain local publicity, take part in professional modelling shoots and develop your modelling career.